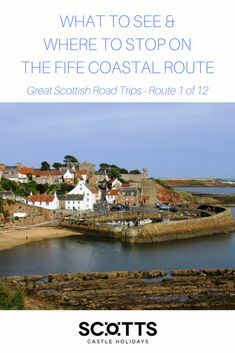 If you like your Scottish scenery big and bold, love lochs and fancy some island spotting on the horizon, this is your road trip. 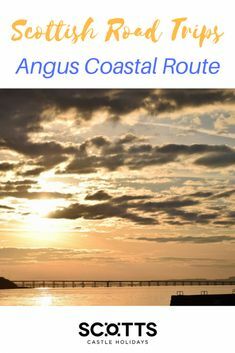 The Argyll Coastal Route also gives you the chance to check out some emblematic spots in Scottish history, see the country’s best wildlife and taste some seriously delicious seafood. 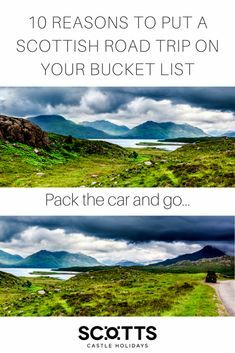 Add to this the fact that the trip faces west and mostly over water and you’re guaranteed some of the most glorious sunsets in the British Isles. 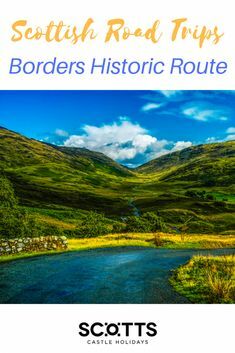 The UK’s largest stretch of inland water needs no introduction and before you start your road trip proper, take a stroll along the bonnie, bonnie banks o’ Loch Lomond. To fully appreciate the 24 miles of loch, walk up to the An Ceann Mor viewing point. Look out for Lomond’s 30 small islands and even better, take a boat to Inchcailloch and follow one of the walking trails around the isle. 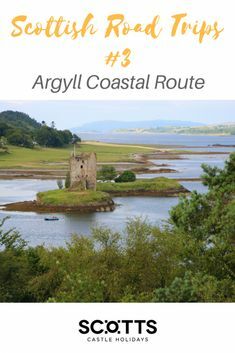 The Argyll Coastal Route then follows Loch Lomond south before beginning its trail along the western coastline’s rugged sea inlets. At the head of Loch Fyne, stop at the Loch Fyne Restaurant for a feast fit for kings on oysters and other locally-sourced seafood. If you don’t fancy the formality of a table and the sun’s smiling down on you, grab yourself a portion or two of oysters, mussels, salmon… at the roadside Oyster Bar. Then all you need to do is find the perfect loch-side picnic spot. And believe us, you’ll be spoilt for choice! Next up on Loch Fyne (as pretty as its name suggests) comes the town of Inveraray. Stop off here to admire the imposing Neo-gothic Castle, one of the largest in Scotland. It’s home of the Duke of Argyll who is head of Clan Campbell. The castle gardens rank among some of the finest in Scotland. Time your visit for the spring or early summer to see the rhododendrons and azaleas in their full glory. Then make your way back into town for a guided tour of Inveraray Jail. Discover all the gory details surrounding its former inmates and their punishments. Please the children in your party with a visit to Auchindrain, the last Highland farming community in Scotland where traditional methods are still in place. You can visit the farm and see the animals – don’t forget to keep an eye for the town moggy, Cat Liath, who loves visitors. Track Loch Fyne on its way to the Atlantic before you double back northwards to go much further back in time. Stop off at Kilmartin Glen, home to around 800 cairns, standing stones and monuments as well as an impressive display of rock art from up to 5,000 years ago. The excellent Kilmartin Museum exhibits the main finds from the archaeological digs but be sure to explore outside as well. Coming across some standing stones in the Scottish mist is always rather magical. The Argyll Coastal Route offers one of the best opportunities to see Scottish wildlife and we mean truly wild. Take a boat trip out to the islands of Iona and Staffa and on your way look out for whales, dolphins, seals and otters in the water and eagles and ospreys up above. Once on the islands you may even spot some puffins. Continue up Loch Linnhe admiring stunning views of the Inner Hebrides, especially the Isle of Mull, dominating the skyline. You won’t miss the emblematic Castle Stalker, one of Scotland’s iconic settings on its own small island on Loch Linnhe. Built in the early 14th century, the castle comes with a rich history and a good smattering of legends. Guided tours of the castle are available, but you need to book in advance. This long Scottish road trip ends at Fort William, the gateway to perhaps some of Scotland’s finest mountain scenery. Ben Nevis crowns the range and you may be tempted to climb up the country’s highest mountain. But if you can’t face the 4,411 feet (1,345m), walk or gondola up Aonach Mor to contemplate the peak scenery in all its glory. 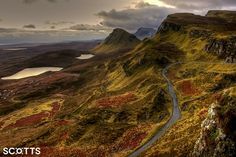 To get the most out of this Scottish road trip, you’ll need a base and where better than your very own castle on the shores of one of the loveliest lochs en route? Be kings and queens of Baronial Castle on Loch Fyne with commanding views of the water and mountains. 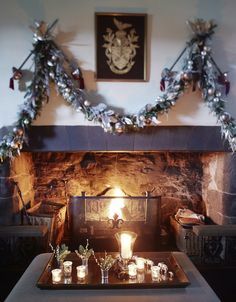 Lord and lady it in the majestic castle rooms – think wood panelling, full-size snooker table, mahogany dining, bedrooms galore… and in the grounds with their own ruined castle, tennis court and woodland walks. 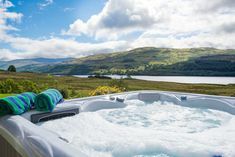 Share the beauty of this amazing country with those closest to you and in one of our large holiday homes in Scotland or in your very own castle.